Libras have two sides to their personalities. They value fairness and justice above most things and are natural soothers and harmonizers. They are determined to avoid conflicts and owing to this trait, they make for good relationship partners. Amiable and attractive, Libra are popular and tend to be trustworthy and balanced strategists. However, in their effort to keep everyone happy, they find it difficult to decline other people’s requests and thus end up getting stressed. They are experts at getting things done for them but are too good to exploit the emotions of others. Whatever Libras do in life, it is governed by the feelings of love. They are therefore able to easily associate with people from all walks of life. They have good language articulation skills and will always choose pleasant subjects to talk about. This makes people feel happy and at ease in their company. They have the best diplomatic skills and have the ability to listen to differing points of view with a great deal of patience. Libras are accommodating and generous. Their welcoming nature to everyone makes them more lovable and more like social butterflies. Funnily, despite all these, they are indecisive, avoid confrontations, will carry a grudge and are prone to self pity when looked down on. For people born under the Libra sign, finding the right partner will be a priority in their life. Loneliness is unnatural and melancholic for the Libra. For those already in relationships, peace and harmony maintenance is key feature. As lovers, they are expressive, creative and balanced. And will do all that is necessary to please their partners. Their charming personality, seductive nature and affective dedication makes them best partners. When it comes to challenges, they know how to see solutions to disagreements which makes them excellent problem solvers. Libra man is charming, harmonious and can relate to women on their level. His ability to see the world through the eyes of others enables him to seduce the girl and it always works. Libra woman is equally charming, enchanting and also seductive. But once the initial seduction is over and the relationship is more stable, she will stop her seductive ways since she is lazy in love. 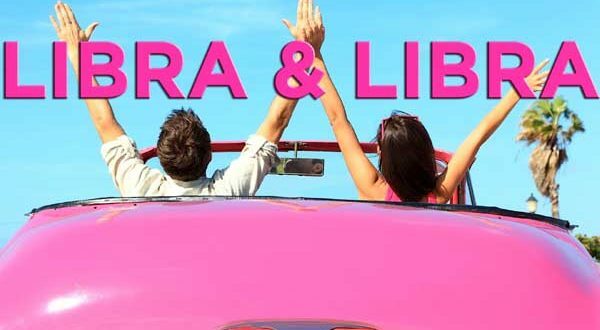 When a Libra woman dates a Libra man, there are sparks of romance and peace that culminate into a stable relationship. With so much beauty and potential, these two attract each other and find each other irresistible. This is a classy and extremely compatible pairing that will depict romance, socialization and association. More than likely, they will go out together and have similar friends. They both understand each other and won’t get jealous due to their tendency to flirt with others. The main thing that will take time to decide in this relationship is who will be the dominant and who will play the role of the follower/submissive. Otherwise, Libra love spending money on posh items and are lively people who will want to spend what they have while they are out of the house instead of managing the utility bills.